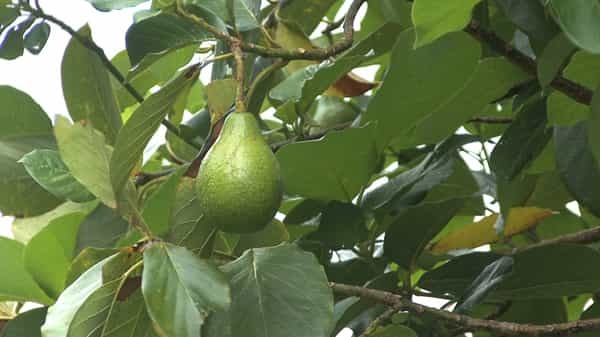 If you plan on growing your very own avocado tree, or want to start your own avocado farming business, there are certain factors you must consider. First of which is the variety of avocado you want to plant. Naturally avocado trees have several different varieties that vary in their needs. With this decision in mind everything else will fall into place, starting with the location. Identify where you plan on planting your avocado tree, or where you want to grow your avocado plantation. Different areas have different climates, soils, weather, temperature and the like. Therefore it is best to choose a variety that will flourish in that type of environment. Take a trip down to your local nursery and ask about the different varieties of avocado that are available in that area. Examples of the different varieties of avocado trees include: Cardinal, Calma, Uno, 240, 227, Parker, RCF Purple and Cepillo Green. After you have decided on the avocado variety, you may now produce your planting materials. Planting materials are either seedlings or grafted plants. Usually the preferred method is grafting. It is easier, more efficient and practical. There are different methods of propagation such as inarching and shield budding. Both of which require more skill and understanding though they may be considered once you get used to growing your avocado business. Once you have planted and set up your avocado plantation it is important to manage and care for the plants through pruning. Through this you will be able to train the avocado tree to a desirable shape, in which it will grow into and develop as it matures. To ensure also the healthy growth of your plants, you should apply fertilizer. Soil conditions may not always bear the essential nutrients that your plants need for bearing fruit and overall health. Fertilizer is usually applied in a ring around the tree or buried into holes around the tree. To ensure that your tree gets maximum benefit from the soil, fertilizer and overall care and nurturing you provide it, you must remove any sign of weeding. Also keep your avocado tree well irrigated. Water it regularly and take note of the climate since it may require more nourishment on some days more than others. Protect and treat immediately any signs of pests or diseases that may infect your tree. Harvesting and marketing are what comes next. Harvesting avocadoes is not a one day task as to compare to other plantations. This is because not all avocadoes on the same tree mature at the same time as the rest. This means you will have to visit the tree from time to time to check on all your fruits and decipher whether or not they are now ready for harvest. Upon harvest of your avocadoes, you will need to market your product. You may either sell them yourself at a farmers market or establish a contract with a business like a grocery store that will purchase all your harvests. All other factors such as the climate, irrigation, temperature and like will depend on the variety. It is up to you to enhance these growth factors and build them in such a way as to better and promote the overall health and growth of your avocado trees. i'm in northern arkansas, USA. is it possible to have an avacado farm in this location? I want to start a Avocado farm in Nepal at kathmandu valley please inform me as u can. I want to start avocado farm at sindhupalchok district about 1400 mt. height. please advice me about suitable variety. I'm a citizen of Tanzania in East africa, i own a land in a valley having clay like soil, it is currently more like a forest. I'm using the land for cattle keeping as an open grazing area. My long term plan is to combine livestock keeping and Avocado farming by reducing the number of natural trees and planting Avocado in a distance of 20-30 mts apart and shielding the tree against cattle. My worry is possibility of incompatibility of my plan as to have livestock require uses of herbicides of which are enemy of insects such a bees and some flies, also flies and bees are enemy of cattle. Does the Avocado get pollinated by bees? is it possible to combine those two ideas without problem?. Second the type of Avocado i'm interested for is the one with high oil contents and hard skin, what is the name of that. If i could be emailed with a complete literature of Avocado i will appreciate. Climate: Max. temp. in summer- upto 40 degree celcius and upto 22 degree Celsius in winter. hi everybody, i'm from UK it seems less likely to be able to do avocado production in like those cold country. but i'm eagerly looking for to starting up, what more information could i have from anybody thanks. even i would consider to move place around the world in any country in terms of suitable climate for starting the avocado production. Well Thanks for this business idea. I have one avocado tree that I have been observing for the past three years and after four years its started flowering. and with this observation I have made up my mind to have 60 plants planted at the onset of the rains next year. I have a small family piece of land and well think can make the best use of it. i want to grow avocado in mukono district uganda what should i do. Northern Belize, sugar cane country. Low, flat, humid. Any guess as to viability, time from planting to first harvest, time to full maturity, preferred variety? I want to start up an avocado farm in Uganda. Which district has the crop's highest annual output? Regards! I want to start avocado farming Hamilto , New Zealand. where to start from? Hi I'm moni Lama from estern Nepal willing to plant Avocado i'm my location please give me advice. Hi, I would like to start a small avocado farm in Bataan, Philippines. The location has hot, sunny climate 3/4 of the year; there are typhoons during the rainy season. The available avocado seedlings are grafted evergreens, 3-4 feet tall. Please advise me on how to make the farm succeed. Thank you very much. I want to plant in Nepal. I have plans to plant in kaski lamjung parbat and sanja . Hi aspirant farmers and entrepreneurs, I am very impressed with what is read here, as part of my research. I also want to venture into these farming of avocado business and I am looking for partner, who has started or want to begin.., to share advices, strategies and extending into foreign market. I am residing in the South of Africa (Johannesburg) for more discussion I can be contacted on thabisomoeketsi0@gmail.com. I would like to stat a small plantation of avocado in Surat, Gujarat, India. Is it possible? If it is where to get the plant? Thank you very much. Hi, I came to know about nutritional value and demand of Avocado in especially in Kathmandu. May be, its demand can increase further with increased awareness among the people in future. Since I am from Sindhupalchok can someone help me how can I develop a small farm in my village there. What could be necessary steps to proceed. Hi, I am from bharatpur, Nepal. We have plain fertile soils here. Tempreture ranging from 15- 40 degree celcius. Mostly the temperature here is around 28 degrees. How can I do avocado farming here. Can you please inform me everything about avocado farming and, how to get the plants and about the cost. Hello i'm thinking of farming avocado in sindupalchowk district the hilly side . I would like to know if its possible to farm? If yes what are the conditions required? temperature, soil, how much water etc. HI, am owner of larger portion of land in Malinyi Morogoro Tanzania i have plan to start planting avocado next year, am ambitious to know the following, is the place suitable for avocado planting? is there possibility to have foreign market for my avocados when its time for selling? if yes which type should i plant? Is Malaysia climate suitable to plant for avocado. We want to start business here. I want to establish an orchard for avocado but i don't know which varieties can be grown in Tanzania at Mpanda? HI everyone, I have planted more than 150 avocado plants in my village in Sindhupalchowk district of Nepal in July 2014. I have no any training about it. However, the source of information was only various documents from website. I collected the varieties of seeds (I don't know actual types) and got germinated at home easily. Now, all the health plants are growing well. Very few people has planted it in my area. It is really a trial and error. I will share with you its further progress. I believe it will be not so bad here. I want to expand my avocado far at Kakindo area, Missenyi district, Kagera region in Tanzania, East Africa. Can you search and suggest something especially the type of avocado I should concentrate on. I would like to know whether the climate in Kerala, India is suitable for growing Avocado? i have a plot of 40 cents in Trivandrum, kerala. Is it practical to grow avocado plants and to generate income. Thinking to start avocado farm in Indonesia. Any advice? For Rishi Ram Parajuli : Where can I get the plant of Avacado in Kathmandu? Can I grow avocados for profit in Baton Rouge , Louisiana ? i'm agricultural field officer in Tanzania! I have established 500 pure hass grafted seedlings i'm looking for the buyers of those seedlings or the partner who can cooperate with me to produce alot of avocado of high quality for commercial purposes! i have large land which is suitable for organic agriculture! any person who interested contact me via my email: rashidmkocha8419@gmail.com mobile no: +255759705659. Where is the seedlings of Avocado available in Nepal including Kathmandu as I want to plant it in the eastern part of Nepal Panchthar? Could you please let me know ? I want to start a Avocado farm in India at Madhya Pradesh - Bhopal, please inform me as u can. I want to plant avocado fruit in the area around kathmandu valley. Elevation 1400 to 1500 meter. winter temperature avg 15 degree celsius and summer temperature around 29 degree celsius. Can you give me all the information about cultivation practices, intercultural operations, propagation and all other necessary information. I want to do avocado farming in kathmandu, is this place suitable for farming avocado? Where can i get basic training in kathmandu?? i have teb hector land and what embark in avocado plantations look at the five trees have given me , but all what aim lacking is enough working capital , who can i access the finding please need your help being a physically handicapped person and the place is 60 kilometers way from my residential area land is ten hectors under resettlement schemes in Zambia ,Africa .